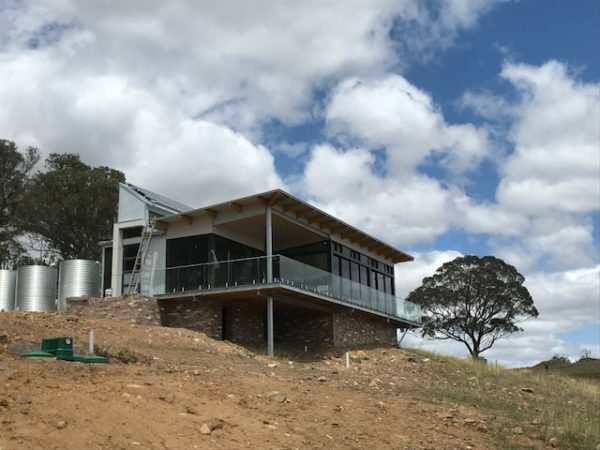 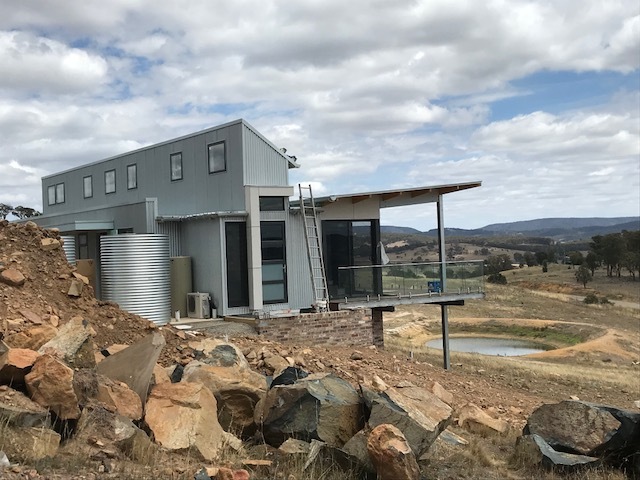 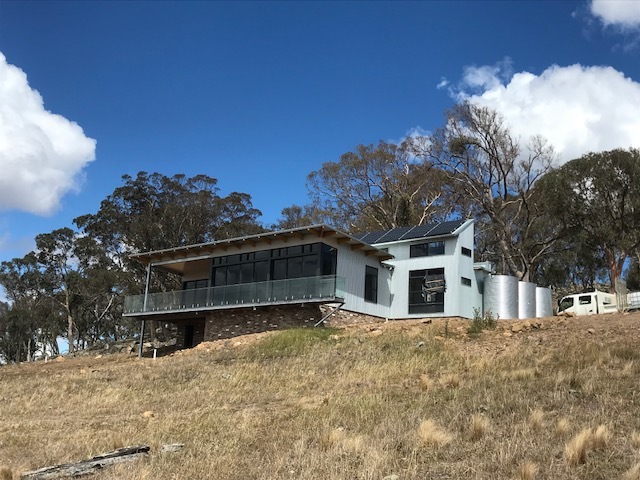 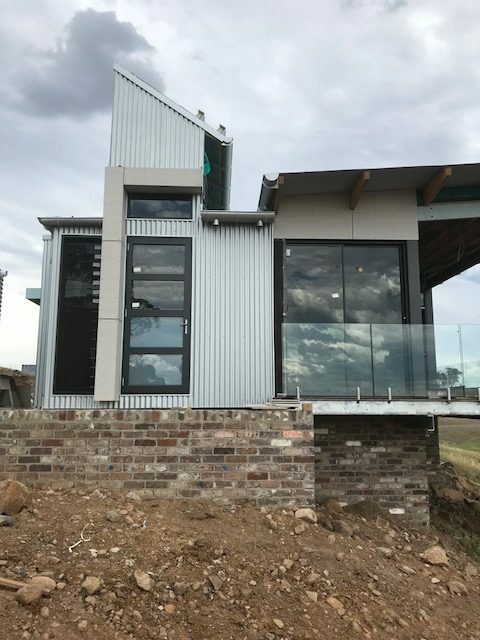 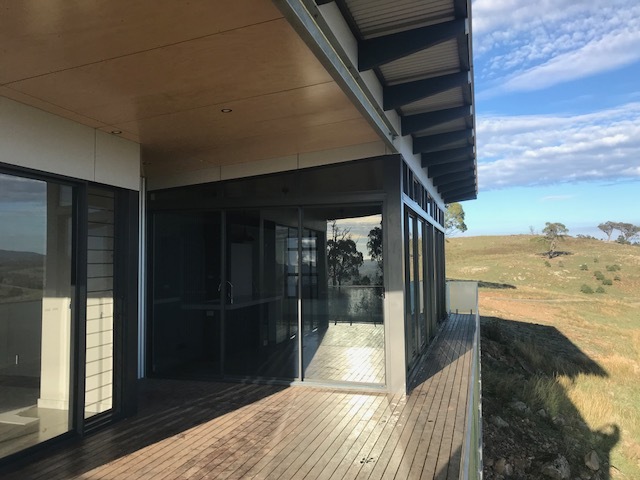 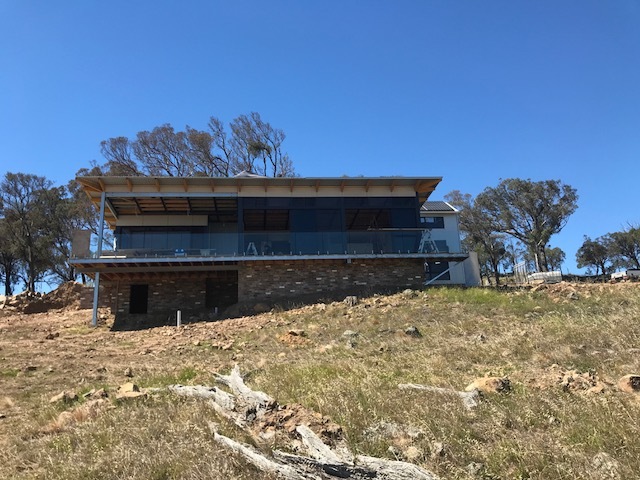 ‘Building an architecturally designed off the grid eco home in a remote location was always going to be challenging but Sam, Scott and the team took it all in their stride. 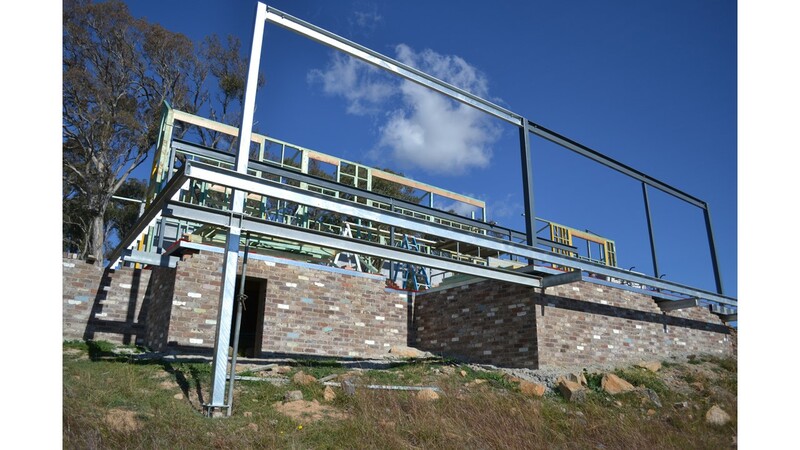 They understood what we wanted to achieve and were always available to discuss and work through any issues that arose. 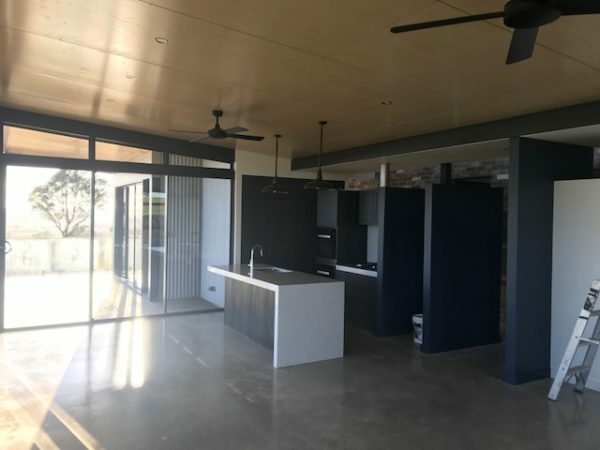 Their attention to detail and quality of workmanship was what impressed us the most particularly given some of the unusual and complex features that the design presented. 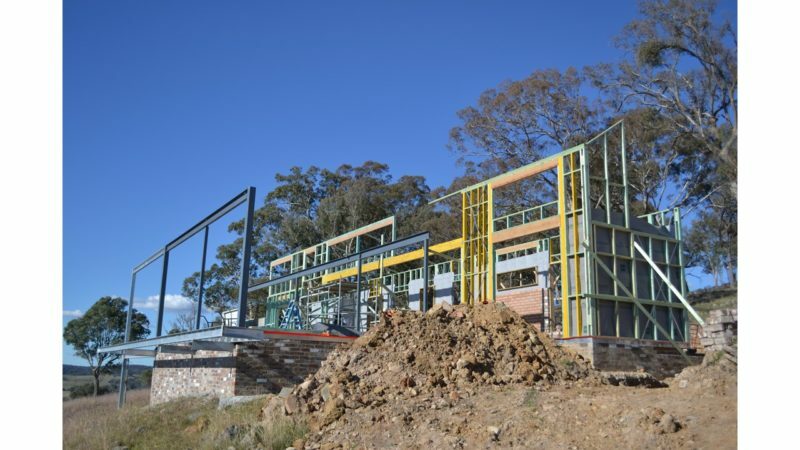 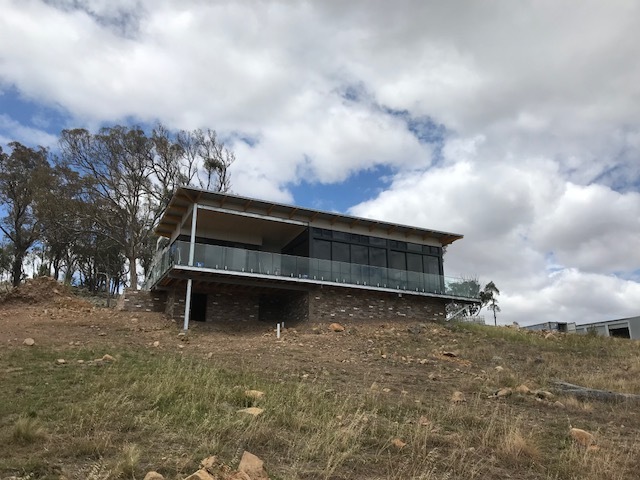 The finished product is a delight to look at and perches perfectly on the side of the hill with panoramic views of the surrounding landscape and neighboring escarpment.